Structural steel delivers serious strength, versatility, and longevity for builders and architects across the globe. 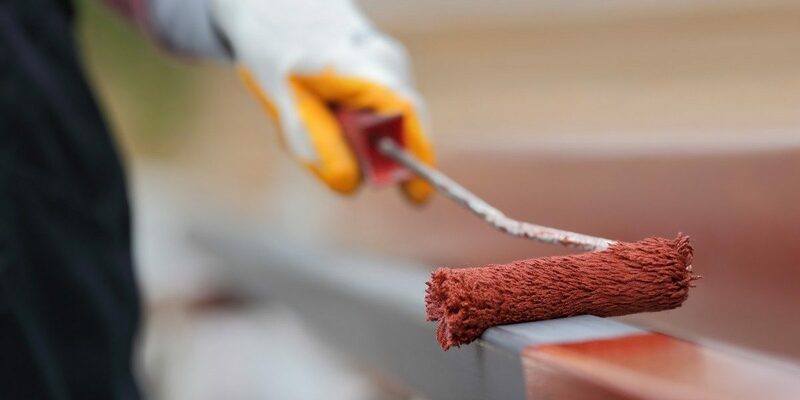 When it comes to this modern metal and the elements, it’s important to find the right support to protect your building from rust and corrosion. Steel fabrication companies are tasked with fabricating the proper material to meet design specifications, including metal coatings to deliver an extra layer of support. Sanilac Steel is proud to be your source for high-quality steel services. Our structural steel fabricators in Michigan are renowned for their skill and professionalism, delivering ideal results in an honest and affordable manner. Since 1967, we have worked to perfect our services, and are confident that we can create the most advantageous results for your project. Today, we’ll highlight how steel coatings can deliver the right level of protection across a variety of building applications. If you’re ready to get started, be sure to contact us for your free quote! Metal is reactive to the environment, making it essential to plan for all possible environmental effects. Steel that is placed in a secluded corridor and hidden from view will likely demand less protection than products that are placed in an outdoor environment. Corrosive environments promote a chemical reaction between the air and humidity with metallic surfaces. The value of proper steel structure design comes from the complete protection offered by modern coating options. Hiring a professional steel fabrication company can help you to further protect your structure, so be sure to call us to see how we can help! Keep in mind that protective coatings can range from chemical treatments during the steel fabrication process to applications intended for worn components. Interior steel applications can require differing degrees of protection based on the design of your building and region it is located in. Structural steel in Michigan, for example, requires much more intensive detail, as our wet climate can increase the risk of corrosion (keep in mind that rust can form in any weather). The proper coating provides 360 degrees of protection for both planned degradation and unexpected events. When it comes to exterior steel designs, coatings can spell the difference between a long-lasting structure and a medley of costly repairs. From high-rise structures to amphitheaters and sports complexes, modern steel relies on coatings such as stainless steel, amorphous alloys, iron-based finishes, and more to deliver protection from wear and tear, corrosion, and temperature changes. Acquiring the proper finish for bridge designs is essential in keeping pedestrians and motorists safe. Modern steel applications rely on cost-effective coatings that provide better performance against wear and the elements, reducing the amount of maintenance over the lifespan of the structure. Primers come in different blends to provide further protection from corrosion. Your final coating can also come in a variety of colors and finishes to create a seamless finish that increases the aesthetic quality. In order to deliver the best results across Michigan and beyond, our structural steel fabricators will work with you to ensure we tailor our products to deliver the best long-term results for your building. We will determine what exactly the steel will be used for, how long and how much exposure will be expected, the overall cost of production, and the ongoing maintenance costs associated with the metal. It is important to deliver structural steel materials that are designed precisely for the project at hand to ensure you have the most economical and sustainable outcome. Sanilac Steel understands the unique and complex demands associated with structural builds, and can work with you to personalize every element of your building to create lasting value. From structural steel design to fabrication, erection, and more, our team is ready to help you get the job done. We also offer mobile welding services and crane rentals, too. Our structural steel fabricators work to create cost-effective results with a focus on safety and integrity. We have decades of experience and the best process to ensure the best results for your building from start to finish. We put our best foot forward in creating ideal outcomes with integrity and respect. Contact us today to learn about our steel services, and be sure to request your project estimate!